For many families, September will see the return of a familiar but unwelcome visitor: head lice. Kids are returning to school after a busy holiday of summer camps, family trips, and fun with friends—all of which add to the easy spread of lice. Nitwits sees many children that have picked up lice from friends or family without even knowing it and it won’t be detected until lice checks are done in the first few weeks of school. Girls should wear their hair up off their shoulders in a ponytail or, better yet, braids or buns. Explain to children that lice are spread through head-to-head contact. The best deterrent at the moment is mint, so consider using mint-based shampoos or sprays, which you can buy from Nitwits or most lice professionals. Tea tree oil is no longer effective. Don’t wait to see scratching before you check your children’s heads. Many people don’t itch, even with severe cases of lice. Weekly head checks at home, preferably with a lice comb such as the Nit-Free Terminator comb, can tell you whether your child has picked up lice. Concerned? Book a head lice check with Nitwits, Toronto’s largest lice removal clinic. Myth: Lice prefer clean hair. False: Lice are opportunistic and move from head to head when given the chance. Once on a head, they will continue to spread until they can cross over to someone else. Myth: Lice can fly and jump. 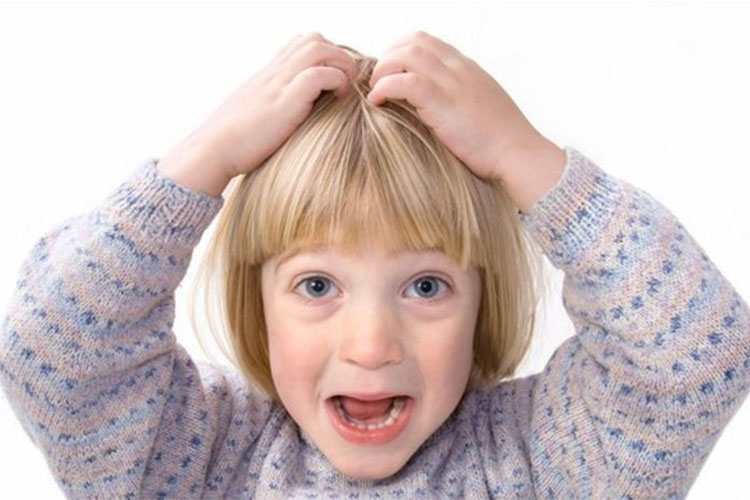 False: Lice have six legs (three on either side of their upper body) and no wings or back legs. To travel, they have to crawl. And while they can move quickly through hair, they aren’t very fast off the head. Myth: Lice can live in the home in beds and on furniture. False: Lice can’t survive off the head since they need to feed every 4-6 hours and can’t miss more than two meals. If a louse is found on a pillow, it is more than likely dead or dying. Myth: Boys don’t get lice. False: Until boys reach puberty, they are just as likely as girls to get head lice. As boys mature, testosterone does give them some protection, as the hormone toughens the scalp, making it harder for lice to feed. Myth: Lice shampoos kill lice and their eggs (nits). False: Lice shampoos rarely harm nits, and most can’t even effectively kill all the live bugs. The best way to treat head lice is to comb out bugs and nits with a proper lice comb. Most combs sold in lice shampoo kits aren’t capable of removing nits from the hair. The most effective comb is the Nit-Free Terminator, which can be bought from Nitwits. The Licemeister comb is a good alternative and can be purchased in some stores. Myth: You are alone! You have to deal with lice using over the counter products. False: Nitwits is a state of the art lice removal clinic in Toronto, they can do it for you! There are several professional lice companies throughout Canada. Nitwits highly recommend regular school head checks in making sure lice don’t spread throughout a community. If your school isn’t doing regular lice checks, speak to your school’s administration or parent council about getting started. Some schools use parents to check children for lice or hire professional lice companies to come to their school regularly or during outbreaks. Using a professional is a good idea, as it can be reasonably priced and families dealing with lice can then be given information on how to remove lice once and for all. Make sure your school checks children’s heads before they’re allowed to return to school, commonly attempts by families to rid their children of lice doesn’t work. Check your child’s head once a week and if you receive a notice from school that there is a case of lice (pediculosis) in your child’s class, check twice a week for the next few weeks. If you do find lice, alert the school as well as anyone your child has had close contact with. Remember, Nitwits (1232 Lawrence Ave East, 416 546 4455) is always here to help answer your questions. We provide free phone and email consolations 7 days a week on the best way to deal with head lice.